David Le/Gloucester Daily Times. 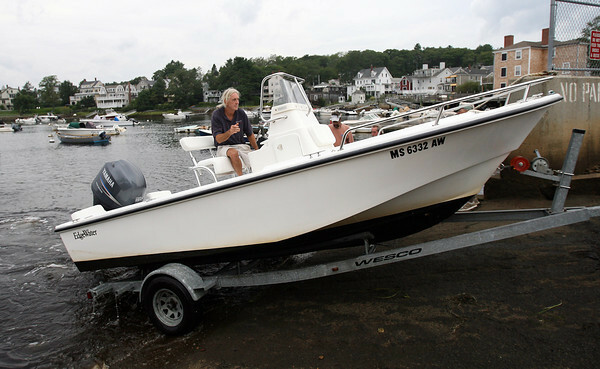 Mark McManus, of Essex, sits in his boat as it gets towed out of the water by his brother Tim McManus, of Beverly, in preparation for Hurricane Irene. 8/25/11.